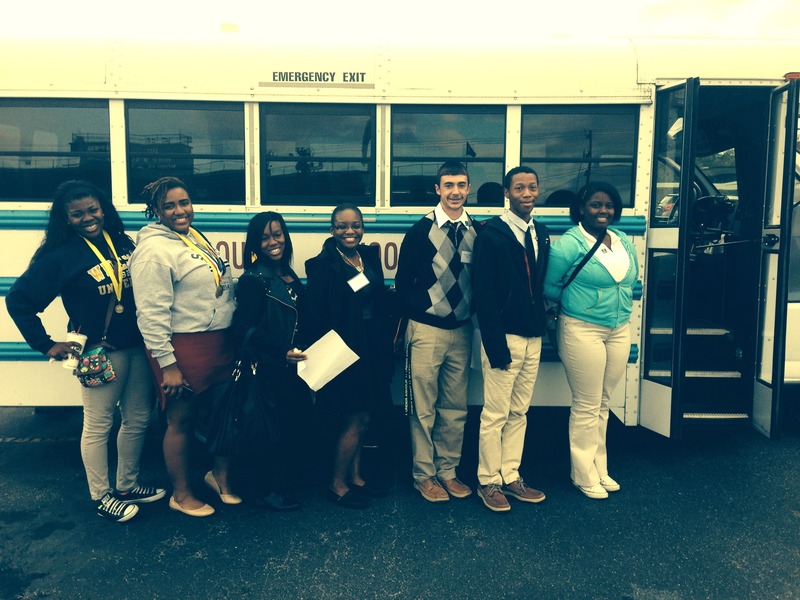 Scotland’s DECA club competed in Sanford, NC at the Lee County Civic Center on Wednesday, November 20, 2013. The seven students that competed are Shymia Ingram, Brandon Watford, Callie Williams, Jazzmine Pratt, Jasmine Ratliff, CJ Terry, and Kierra Paca. Students completed an online test the week before competition and completed a role play the day of the competition. Over 400 students competed in District 4 from high schools in Harnett, Lee, Scotland, and Cumberland counties. Scotland DECA had four students to score proficient and receive a certificate. The four students recognized were: CJ Terry, Jazzmine Pratt, Callie Williams, and Kierra Paca. Two students were recognized as having HIGH scores on the test. The two students recognized were: Callie Williams and Kierra Paca. They each received a medal. Kierra Paca placed in the top nine finalists and received a medal. This was Scotland DECA’s first competition. We are very proud of all of the students and look forward to state competition in March. Scotland DECA’s advisor is Mrs. Bobbie Jo Robertson. If you would like to join DECA, please contact Mrs. Robertson in Room 302. Mr. Miller serves as a Co-Advisor.